Take an exciting trip through an extravaganza of 78 vivid and expertly hand-painted Tarot cards inspired by the vintage, old-school tattoo flash of Sailor Jerry Collins. 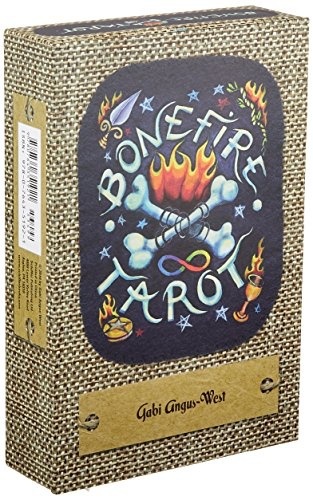 Influenced by Rider-Waite, this deck and guidebook are styled for the serious life explorer, identifying important symbols and key thoughts visually, so you may intuitively read the cards and demystify your own journey. Fully equipped to tackle anything―the micro-cosmic to the macro-enormous―the Majors feature archetypal figures sure to play roles in our lives as aspects of ourselves or situations we are bound to encounter. The Minor suits have their own look and set of common symbols and are concerned with life's little details. 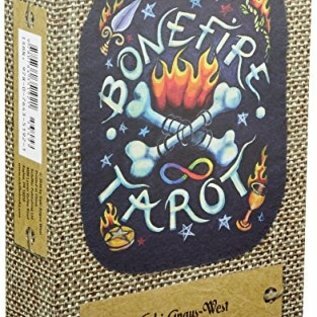 Along with a comprehensive glossary of symbols and their meanings, three simple spreads, and descriptive essays to guide you, this set offers eternal truths via the timeless medium of Tarot.